Listen to “The Witness, The Darling” on Spreaker. This poem has been translated by Coleman Barks. You can read this poem and many others in this book. This poem has been narrated by Adam Siddiq. You can watch more videos like this on YouTube. 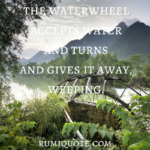 For more Rumi quotes and poems, follow the Rumi Quotes Facebook page and group.